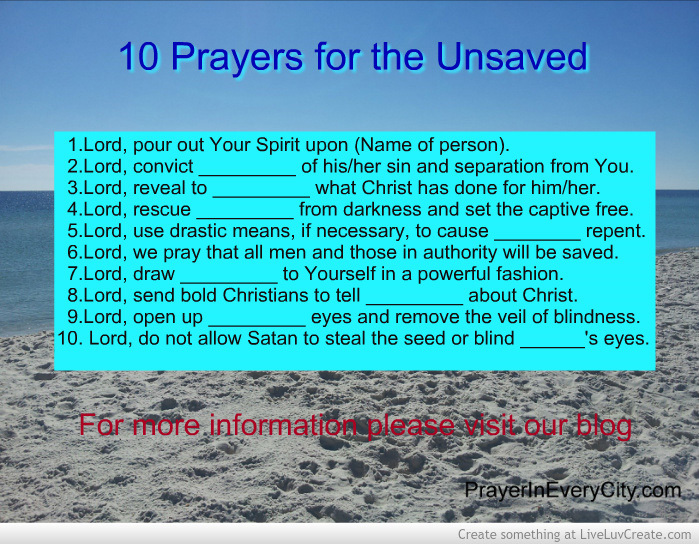 For a free downloadable copy of “10 Prayers for the Unsaved” along with scriptures please click here: 10 Prayers for the Unsaved. Click here for an updated version: 10 Prayers for the Lost. You might wish to add this to a Family Photo Prayer Journal.